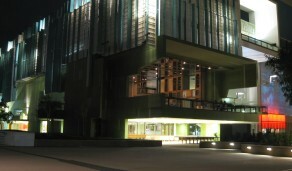 Operating since 1896, the State Library of Queensland (SLQ) serves all of Queensland through state-wide partnerships from their base in the heart of the Cultural Centre precinct in Brisbane’s South Bank. The Cultural Centre is a thriving hub of arts and cultural institutions, including museums, galleries and performing arts centres. In late 2006 the current modelling of SLQ opened to much fanfare, fast becoming a new cultural and knowledge destination. An inclusive and welcoming venue, it is a physical and virtual place for sharing, learning, collaborating and creation. In addition to traditional library services, SLQ plays host to exhibitions, events, talks and programs, as well as the Asia Pacific Design Library and The Edge, a centre fusing creativity across the arts, technology, science and enterprise.